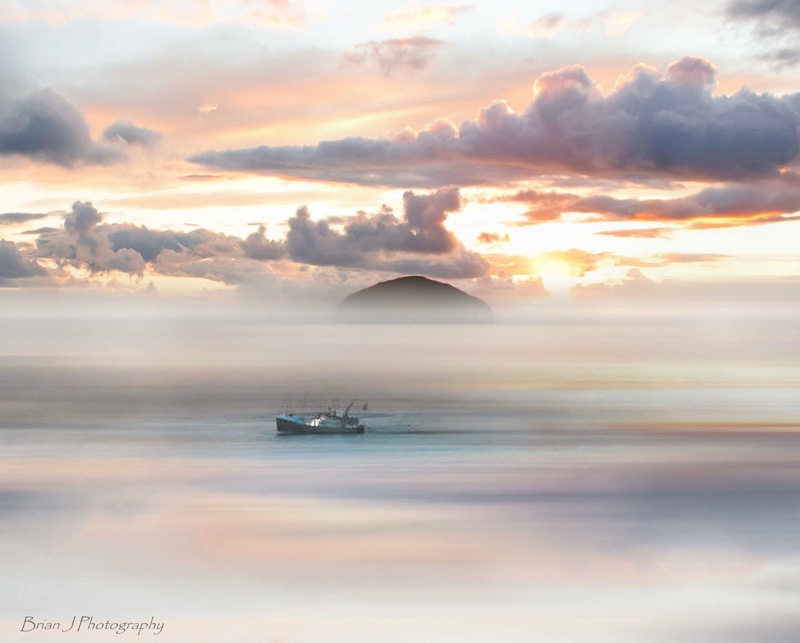 I love this photo of Ailsa Craig – it is called “haar” and was taken by Brian Johnston. The effect is so calm, so tranquil. Just looking at it makes me relax. Only those who have lived on the East Coast of Scotland really appreciate haar. How it rolls in from the sea, turning a warm sunny day cold and colourless in an instant.